In July 2018 a storm of controversy broke out in the UK when the National Executive Committee (NEC) of the Labour Party published a draft code of conduct to tackle antisemitism. Ostensibly, the controversy was about Labour's failure to adopt the definition of antisemitism formulated by the International Holocaust Remembrance Alliance in May 2016, substituting its own definition instead. This, however, was just the tip of the iceberg. This talk will critically examine the charge made against the NEC and explore the complex issues lying under the surface of the controversy. Particular attention will be given to the role played by the public debate over Zionism, Israel and Palestine. Brian Klug is senior research fellow and tutor in philosophy at St. Benet's Hall. 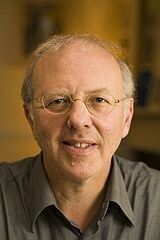 He is also an honorary fellow of the Parkes Institute for the Study of Jewish/non-Jewish Relations, University of Southampton and fellow of the College, Saint Xavier University, Chicago. He is the author, among many works, of Being Jewish and Doing Justice: Bringing Argument to Life and Offence: The Jewish Case.